Bambi Dress https://www.review-australia.com/au/bambi-dress-violet/RE19DR372.REPUR037.html Fawn over this bewitching Bambi Dress. 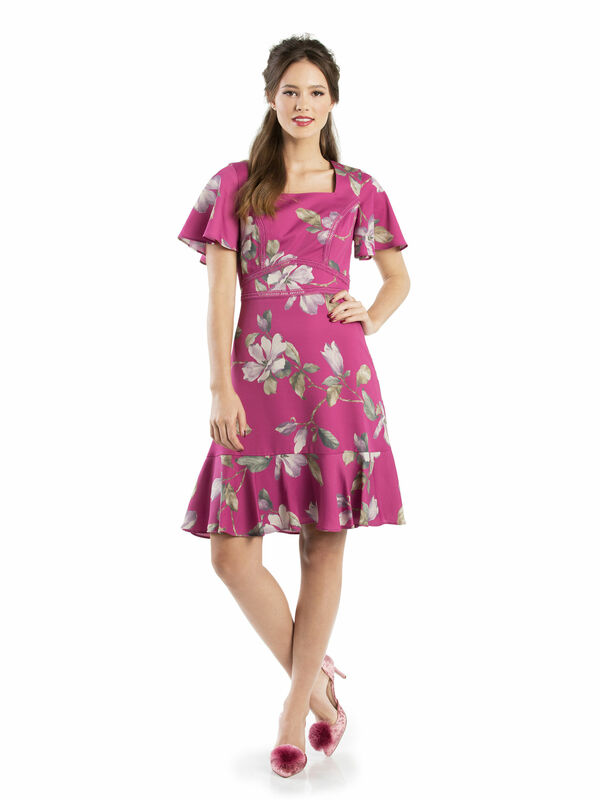 Crafted from a silky, fuchsia pink material showcasing a graceful pale floral print, and trimmed with lace. A square cut collar is softened by the billowing sleeves and bottom, ensuring this will dazzle in any occasion. Bambi Dress is rated 5.0 out of 5 by 2. Rated 5 out of 5 by wicky13 from Lovely Dress The Bambi Dress is really lovely. The style is flattering and fits really well. This dress would be versatile and the colours are really pretty. Rated 5 out of 5 by Lisa19 from Luxurious Fabric I loved this dress from the moment I saw it online, I found it to be true to size and a lovely shade of pink. The fabric has a satin feel to it. I love that the sleeves are flowy, a nice change.